15 items. 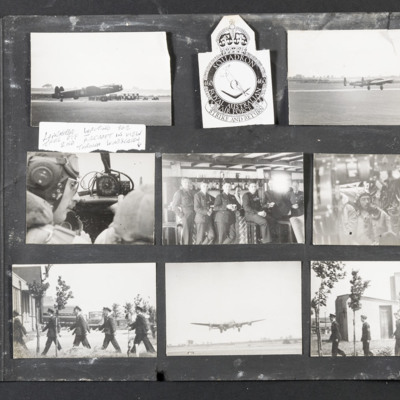 A multi page album containing images of scenes from 460 Squadron at RAF Binbrook, and photographs of ground personnel in various situations including a bomb dump, an officers’ mess, a control tower, and medical and dental facilities. 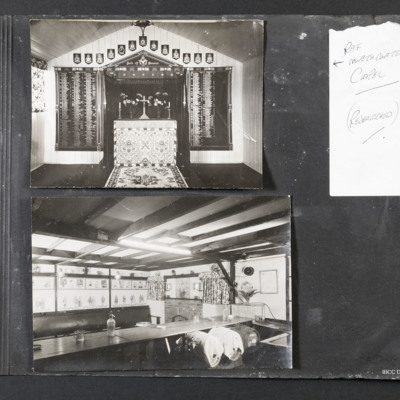 It also contains photographs of a sports day, family photographs and a sailing trip. Photograph 1 is of a Lancaster AR-Z waiting to take off. Photograph 2 is of 460 Squadron's crest. Photograph 3 is of a Lancaster in the air, close to the ground. 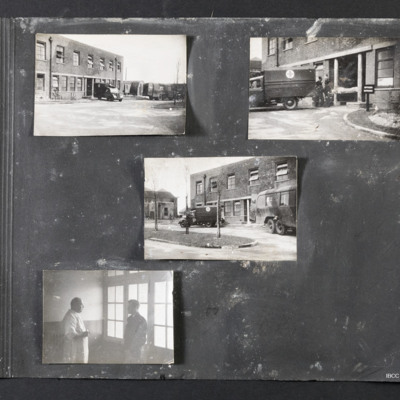 Photograph 1 is of five airwomen and two airmen standing outside the entrance to a building. Photograph 2 is of a group of airmen and airwomen inside a Nissen hut. 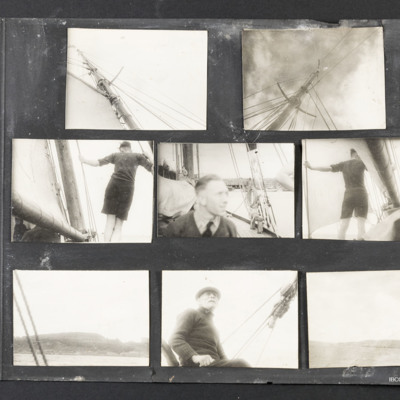 Photographs 1 and 2 are views of the mast of a gaff rigged vessel. Photograph 3 and 5 are a man in shorts standing by the boom and holding onto the rigging. 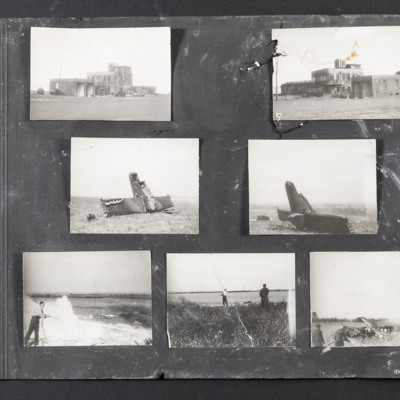 Photograph 4 is a man seated on the vessel not far from the shore. Photograph 1 is of an airman standing beside a car. 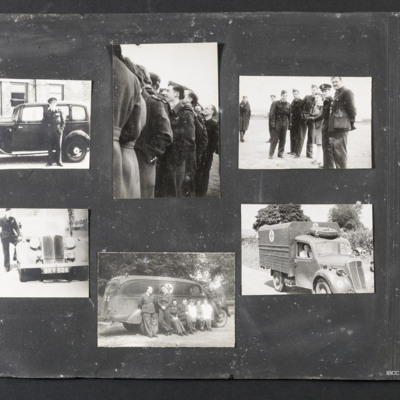 Photograph 2 is of a group of airmen. 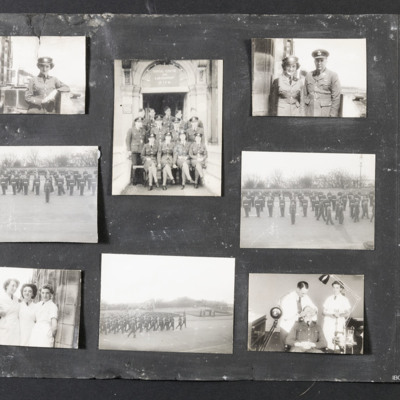 Photograph 3 is of a group of airmen and a woman. Photograph 4 is of a pilot standing beside a car. Photograph 1, 3 and 4 are head and shoulders portraits of a woman. Photograph 2 is of a stately home. 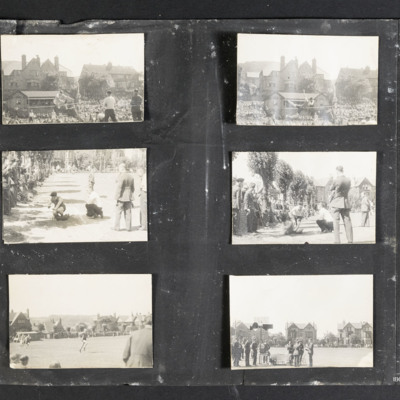 Photograph 5 and 7 are of Viking ships and spectators. Photograph 6 is a tractor and harvester in a field. 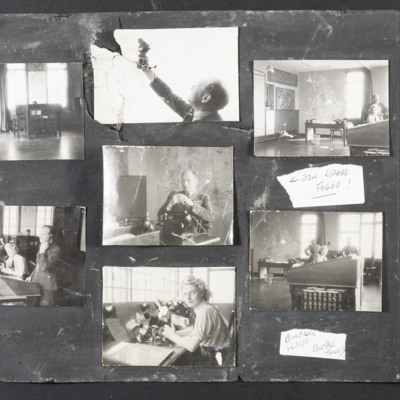 Photograph 1 is a three quarters portrait of a leading aircraftswoman. 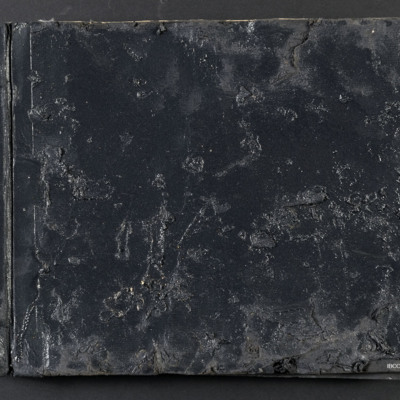 Album covers with identity marks.